Mel Novikoff was one of the nation’s most respected theater owners starting with Surf Theatre in the outer Sunset. Large crowds of movie lovers would take the N Judah to the end of the line and walk through the fog in search of the Surf’s neon tower and the Pandora’s box of cinematic wonders he programmed. It even had it own Cine Café. Next Novikoff had the vision to save the Castro from obscurity by taking over the struggling second run theater, uncovering its architectural wonders and setting an example of how to “put on a show.” He expanded with several other first run art houses including the Clay, Lumiere and Cannery as well as another repertory house, the Surf Interplayers. Mel programmed films at SFMOMA and volunteered with Albert Johnson and Tom Luddy to keep the San Francisco International Film Festival afloat during difficult times. 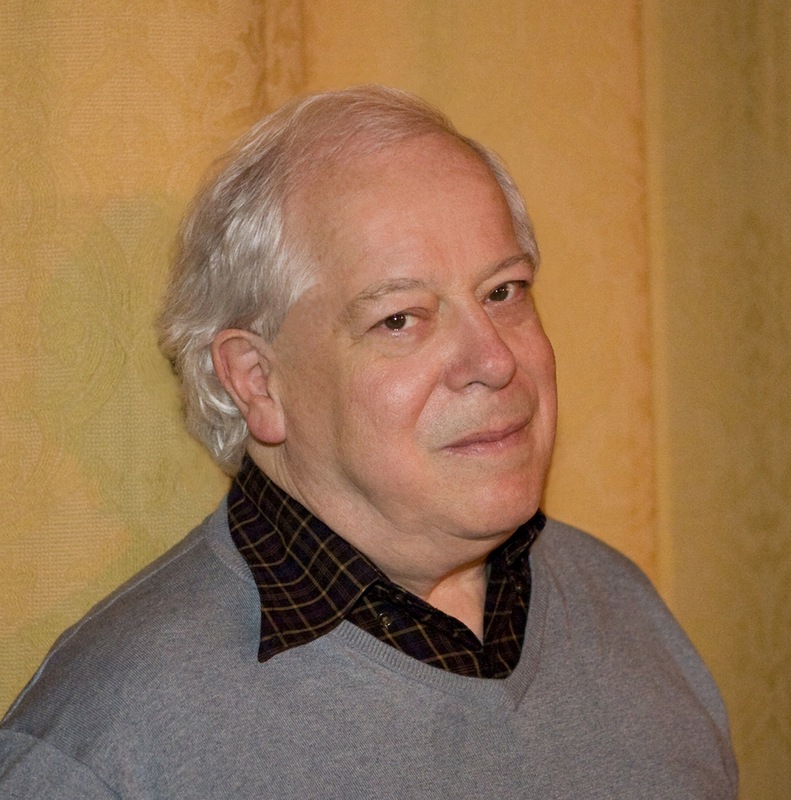 His commitment to intelligent movie selections, informative program notes and showmanship helped increase audiences for classic, independent and foreign cinema in the Bay Area. The Mel Novikoff Award is given to individuals who are committed to encouraging filmgoers to take chances and see movies they might not otherwise experience. David Thomson is certainly the perfect definition of a Novikoff Award winner. As one of the world’s leading film critics, his reviews are intelligent and thought-provoking. His many books cover a wide range of film interests. His Biographical Dictionary of Film is acknowledged by many as the best single volume resource about the movies. And the opportunity to hear him talk about cinema is a very special event. David Thomson. Photo courtesy of Lucy Gray. 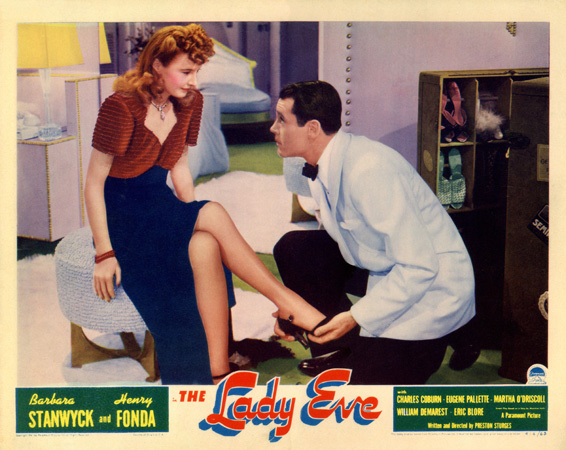 On Sunday, May 4, 3:00 PM @ the Sundance Kabuki Cinemas, audiences can come together to celebrate Thomson when he is given the Mel Novikoff Award and then will engage in conversation with novelist and essayist Geoff Dyer, followed by the very special treat of a screening of a film personally selected by Thomson, Preston Sturges’s THE LADY EVE (1941), starring Barbara Stanwyck and Henry Fonda as two people on a luxury liner returning from South America. For more information, and to buy tickets, visit the SFIFF film guide. 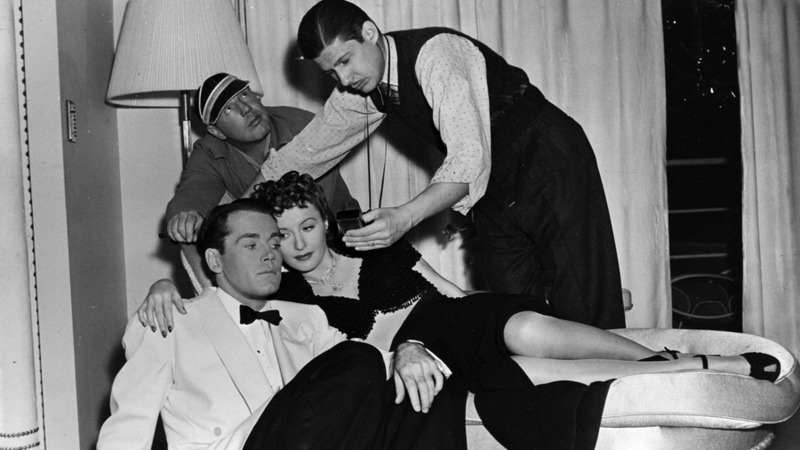 Preston Sturges directing Henry Fonda and Barbara Stanwyck on set. Courtesy of The Criterion Collection. In his latest book, “Moments That Made the Movies,” David Thomson asserts that as little as fifteen frames can make a significant contribution and shift the direction of a film. 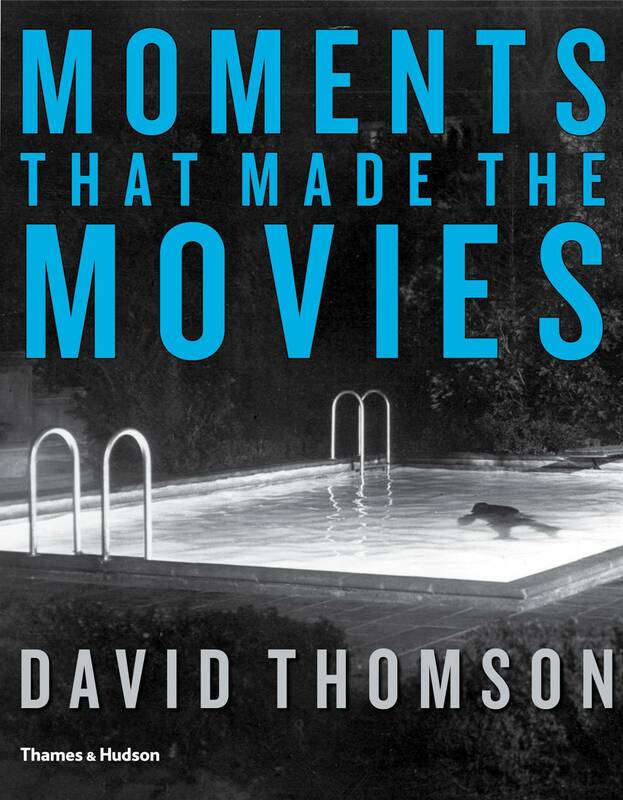 Thomson allows readers to experience (or re-experience) these singular movie moments with beautifully reproduced imagery as he examines 70 uniquely revealing scenes. Examples include BONNIE AND CLYDE, DODSWORTH, THE LADY EVE and other cinema treasures. We are honored to offer you one of them here. Jack Torrance (Jack Nicholson) has everything he wants—but it’s not quite enough. There he is, with his wife Wendy (Shelley Duvall) and his little boy Danny (Danny Lloyd), caretaking the Overlook Hotel for the winter. Perfect— unless you think the whole job could be a setup or a trap. The Overlook is up in the Colorado Rockies, in what most people might regard as ideal winter sports country—there is going to a be a ton of snow before this is over. So why is it closed? The hotel people say, Oh, it’s far too expensive to keep it running in the winter, so it’s just a summer resort. Like sharks off the coast of Massachusetts? Anyway, why complain? This is the way it was in the Stephen King novel, and it’s a hell of a movie. So the Torrances have a nice cozy apartment, and all the food they could eat from the hotel kitchen and its deep freeze. It’s true, Danny isn’t going to have any schooling, but at last Jack will really begin to get into the novel he’s dreamed of. You may have known people who’ve kept telling themselves they’re going to write a novel, and you know they’re trouble. But Jack is a reformed character: it’s true he did drink a little too much (in the past), and there were a few violent incidents. But if a guy’s got a novel deep inside him it may be fighting to get out. Well, the writing isn’t going too well, and Wendy can be a bit of a trial. What Jack would really like—if magic existed—is just one drink. A feature of the hotel is the Gold Bar. It’s a magnificent place. We’ve seen it at the beginning and the light shines on the bar counter and all the bottles of liquor. You can picture the convivial crowd there on a summer evening. But in the winter the liquor goes to sleep and the bar is abandoned. Until one disconsolate day Jack is wandering through the empty acreage of the hotel and he sees the Gold Bar and thinks he’ll just sit down at the counter and sort of get the feeling. An author needs to do research. He covers his unshaved face and his depressed eyes with his hands and then he takes the hands away. What do you think? Wishing can work, because there is the tall, saturnine, slightly ghostly figure of Lloyd, the eternal barman, in the guise of Joe Turkel, an actor beloved of the director Stanley Kubrick, and deservedly so. “What’ll it be?” whispers Lloyd. 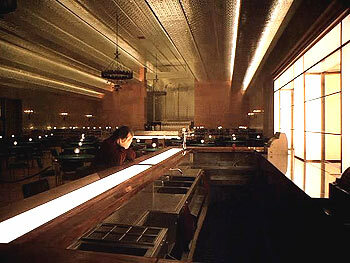 The script is by Kubrick and the novelist Diane Johnson, and the chat here is absolutely neutral and regular—just the sort of stuff you might expect in a real bar—but we know we are at the entrance to the inner Overlook (not a bad title for a film book, by the way) in which the shine of the bar and its lights is preparation for the process of shining that can take you over the frontier and into another life, where the beast in you can roam. So the bar counter is one more version of the idea of a screen, with Lloyd welcoming you in. Jack begins to come to life: Why write a novel when you can live it out? He admits his problem with his family. He resumes his old addictions. And Lloyd is just as polite as a barman or an undertaker. Things are going to get much more gruesome and when the winter blizzards come it will be so cold. The Overlook doesn’t exactly shut down for the winter, and it only puts on an act in the summer. It gets down to its real business in the empty months, and that is “red rum” as read in a mirror—and while you’re testing that out for yourself, you might care to have a little drink. Just snap your fingers and Lloyd will be with you. But take a careful look at him—is he actually alive or is it your imagination? Reprinted courtesy of Thames & Hudson Inc.
Support your local bookstore or purchase the book through our affiliate link at Amazon.com. David Thomson has been called “probably the greatest living film critic and historian” and “the greatest living writer on the movies.” He is the author of The New Biographical Dictionary of Film, which topped Sight & Sound‘s 2010 poll of international critics and writers as the best film book of all time, as well as more than 20 works of both fiction and nonfiction, including The Big Screen: The Story of the Movies; Showman: The Life of David O. Selznick; Rosebud: The Story of Orson Welles; The Whole Equation: A History of Hollywood; “Have You Seen . . .?”: A Personal Introduction to 1,000 Films; Suspects; and Warren Beatty and Desert Eyes: A Life and a Story. He has contributed regularly to the Independent, the London Guardian, Film Comment and the New Republic and wrote and delivered the BBC radio series Life at 24 Frames a Second. 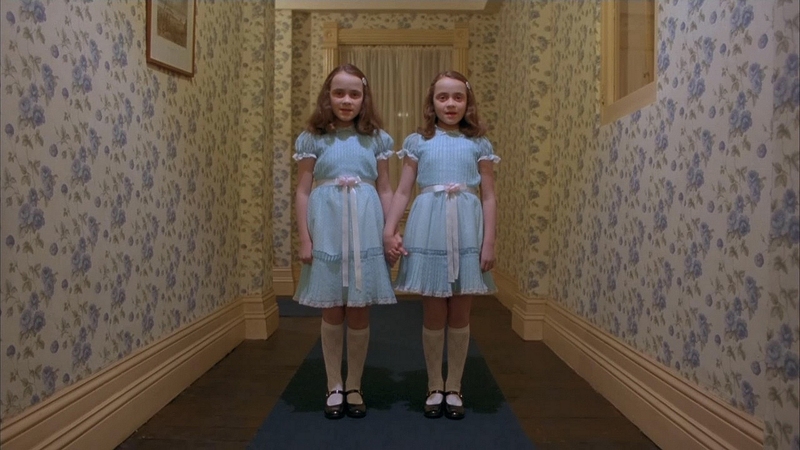 This entry was posted in Films and tagged book, David Thomson, Films, Kubrick, The Shining. Bookmark the permalink.